I updated my blogroll yesterday and hope I did not leave you off. You can see it by clicking the Orange Blogger logo on the right. Let me know if you would like to be added to it by leaving your blog's URL in the comments section. 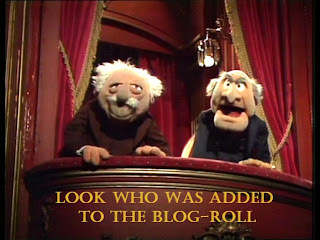 All I ask is that you are a regular reader of my blog and Kansas Bob is displayed in the blogroll section of your blog. Hope you have a great weekend! Thanks for keeping me aboard. I love the look and feel of your site!